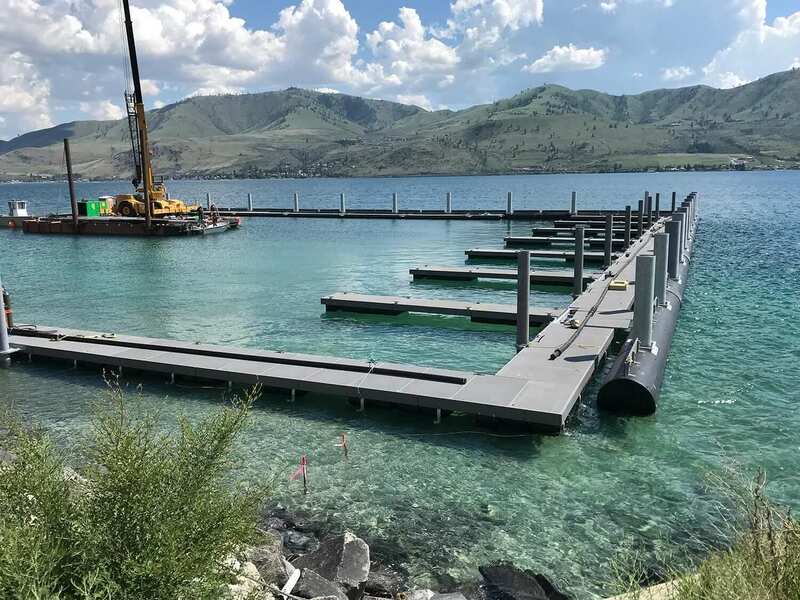 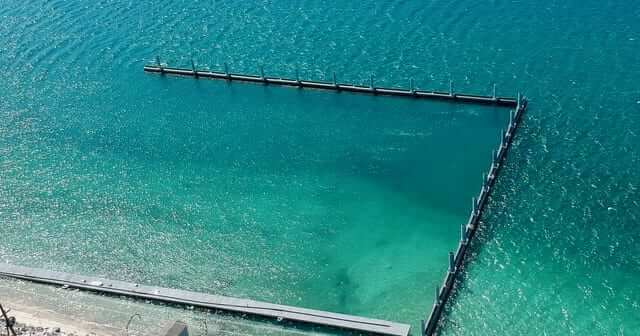 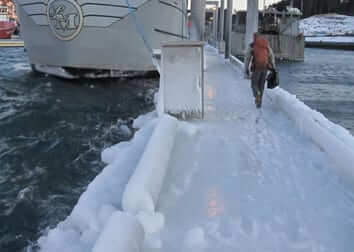 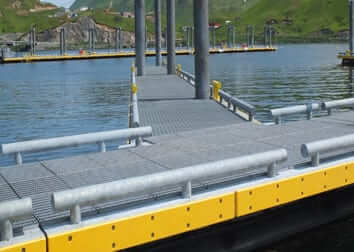 Bidder-design, engineer, manufacture and install floating wave attenuator, marina moorage floats and guide pile system. 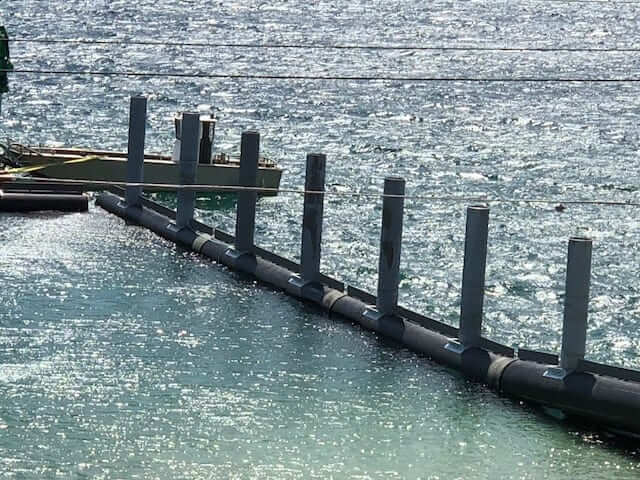 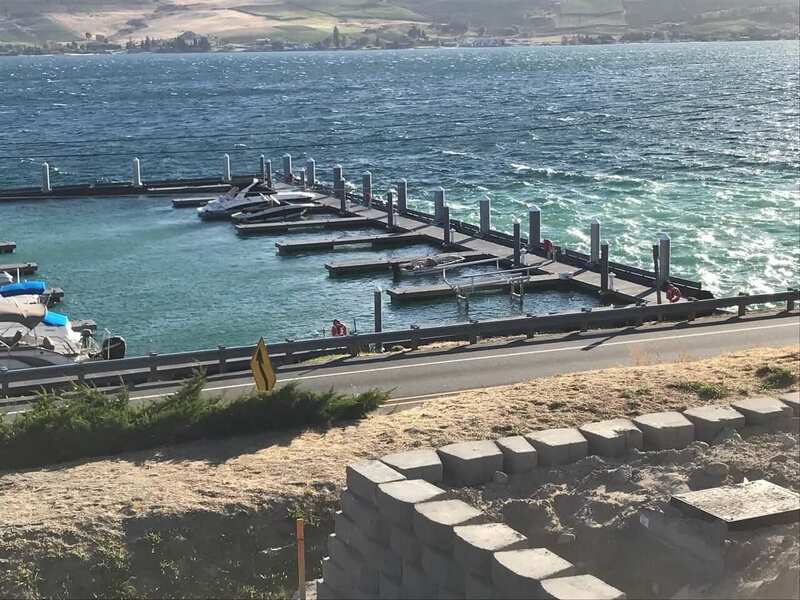 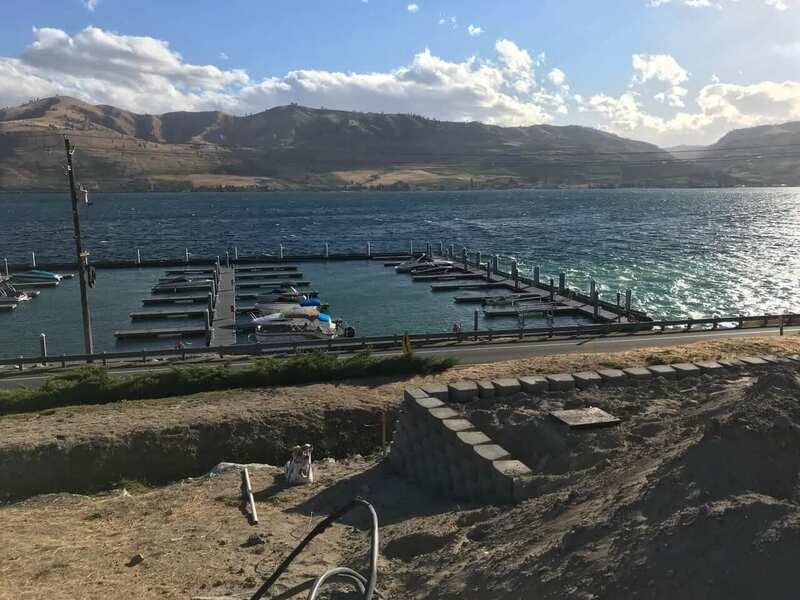 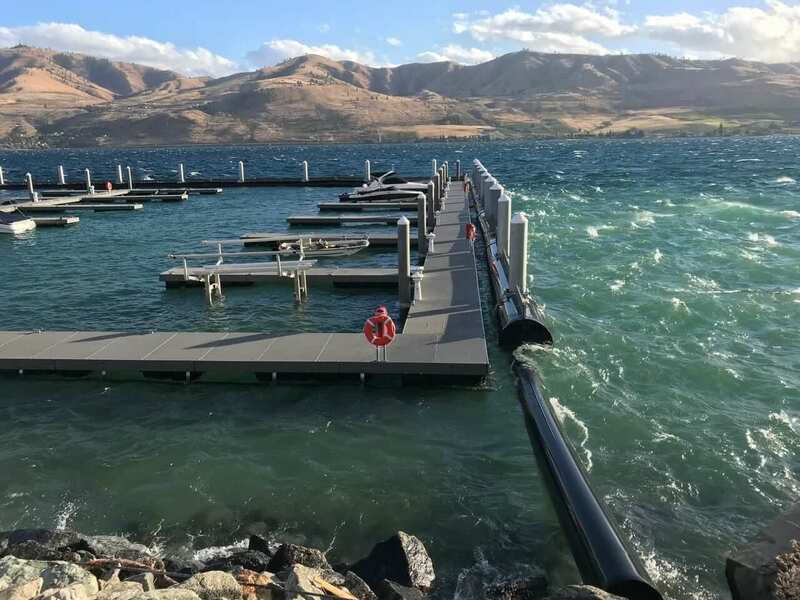 The floating wave attenuator is 456’ of partially-penetrating HDPE-pipe wave wall designed to withstand wind-driven waves 4.7’ significant height and 3.3-second period. 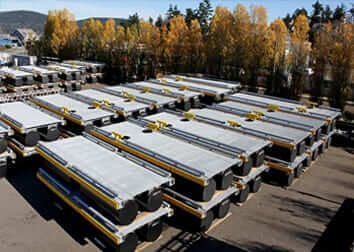 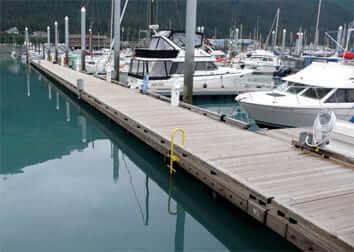 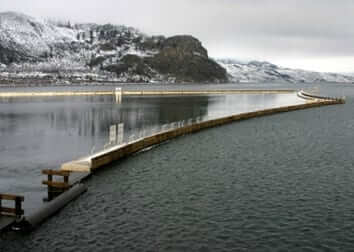 The marina moorage includes 61 slips for recreational boats in 25’ or 30’ lengths. 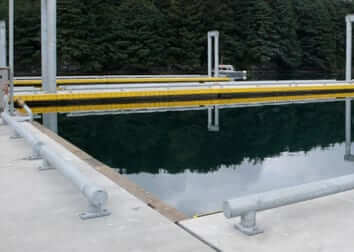 The hot-dip galvanized tube steel framed float system was designed with great durability, user comfort and public safety in mind.